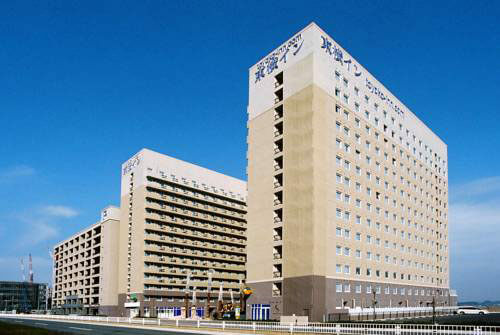 Toyoko Inn Chubu Kokusai-Kuko Honkan hotel includes the “Orange Side” and the “Green Side” sections with a total of approximately 1,000 rooms. 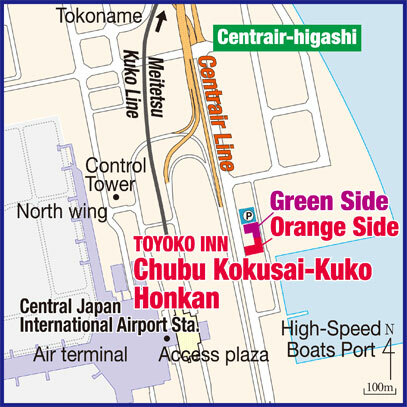 The hotel is only a 5-minute walk from the airport terminal. 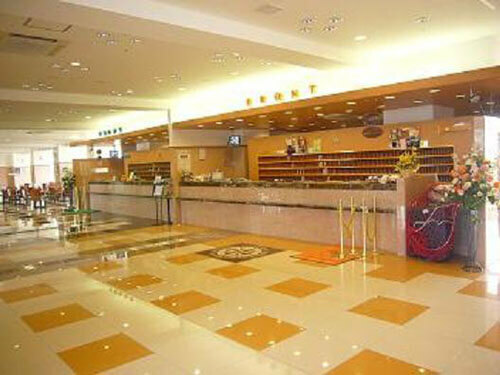 A free shuttle to and from the Central Japan International Airport and the hotel is available. 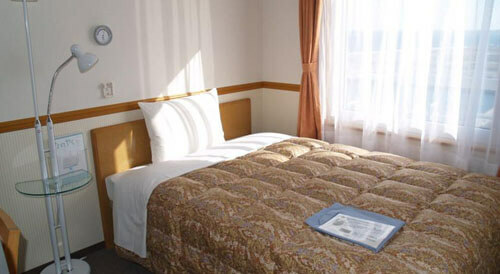 Tokyo Inn hotel offers convenient and reasonably priced accommodations for transit passengers and visitors to Nagoya. Free Japanese style breakfast is available for hotel guests from 6:00 am to 9:30 am. 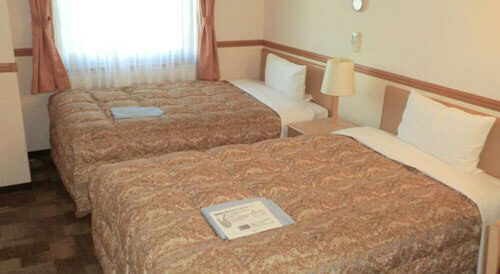 Toyoko Inn Chubu Kokusai-Kuko Honkan offers single, double, twin and family rooms. A free shuttle bus to and from the airport runs every 15 minutes from 6:00 am to 11:00 pm. 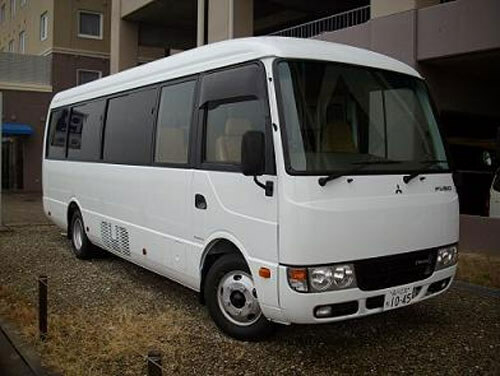 From the airport the shuttle bus departs from Access Plaza bus stop No.8. 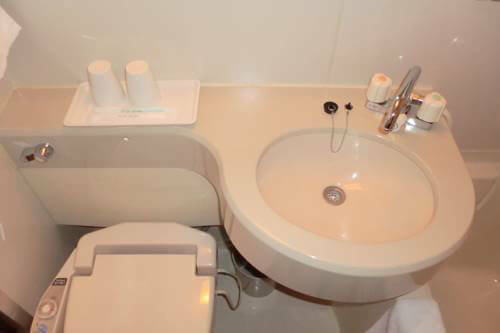 Copyright © 2019 · Nagoya Chubu Centrair International Airport Hotel Guide.